It’s not news that dogs have found their place in internet pop culture. But how many dogs can a person see without even noticing just by simply scrolling through the internet? Without seeking out dog pictures directly, I recorded all of the dogs images that I came across on a Saturday that appeared on my social media feed or were sent to me directly. All of the photos were documented and later recorded by time, breed, source, and other factors. I wanted to use this data to learn more about my personal habits, as well as trends in the social media I use. 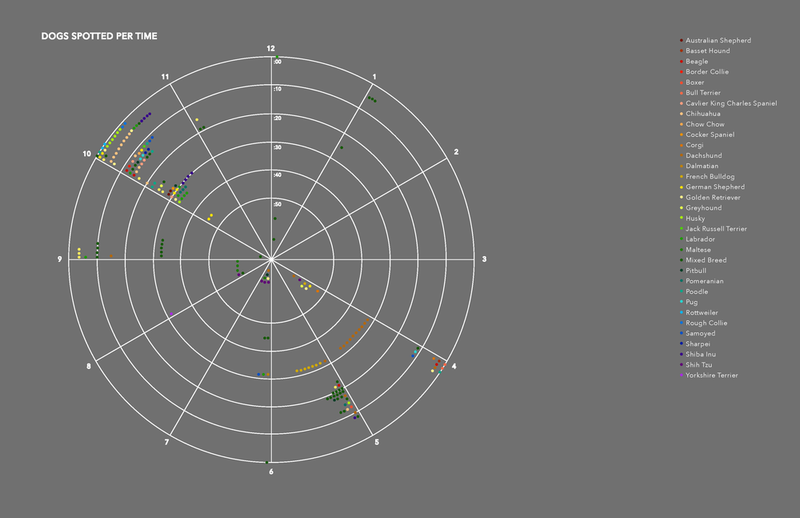 The challenges of the data visualization highlighted organization being as important as aesthetics. A majority of the process was trial and error to learn what the perfect amount of information would be to prevent the image from being overwhelming. 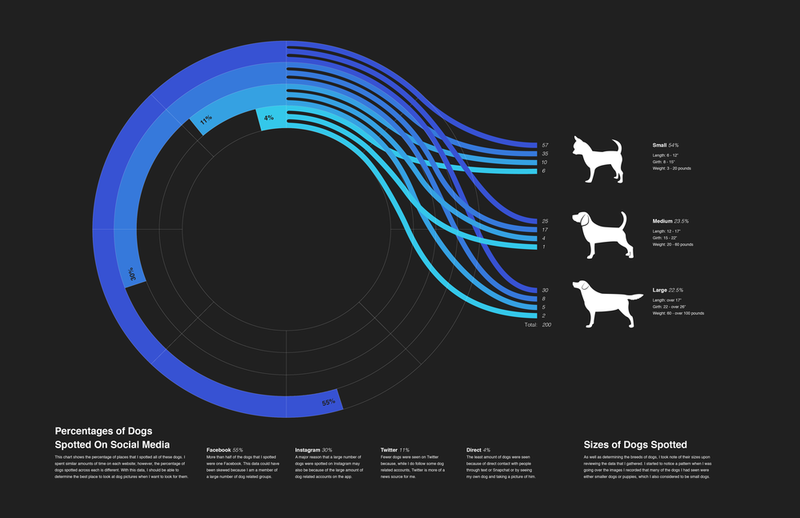 Icons developed for these data visualizations were later revised and implemented in the American Kennel Club’s New York office and The Museum of the Dog.